An employee has left and you are concerned that he or she has taken and will use your confidential business information. You have left your job and your employer sends you a letter charging you with stealing its confidential business information and trade secrets. You have some dynamite new process or system and don’t want knowledge about it to get out to your competitors. You want to show a prospective joint venturer or investor what you are doing, but want reasonable assurance that your information not get out to others, whether or not you move forward in the relationship. Eisen & Shapiro’s business lawyers counsel employers and employees on a broad range of trade secrets matters and competition matters. We have undertaken integrity audits, investigated potential breaches or infringements, prepared and reviewed employment and venture-related contracts involving trade secrets and/or non-competition agreements, negotiated agreement language, and prosecuted and defended lawsuits. As required we use experienced business investigative services in these matters. This note offers a broad overview of trade secrets law and non-compete agreements in Maryland as it applies to former employees of a company. To successfully prosecute a trade secrets claim an employer must make a strong showing that the information at issue really is a trade secret and that the employee took unfair advantage of his or her knowledge of that secret. Maryland courts have made it clear that although the statute displaces the common law (i.e., the law developed by courts in cases over time), the common law informs the court in applying the statute. 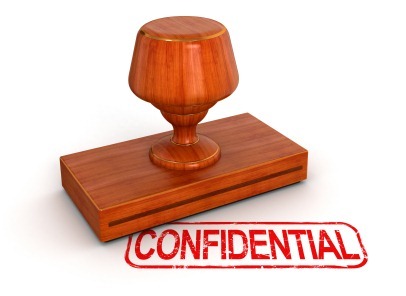 Maryland common law is also important because, if something is not a trade secret, it might still be confidential information (to the extent a separate action still exists for the protection of confidential information). While the Maryland statutes looks at pretty much the same information, courts have described the statute as more encompassing and generous to the plaintiff in its definition of a “trade secret.” Where the statute and the common law diverge, the statute controls. Section 11-201 of the statute has a three-part test to determine whether something is a trade secret. * Third, it must be “the subject of efforts that are reasonable under the circumstances to maintain its secrecy. In common English, to be a trade secret information must (1) in fact be secret, (2) be worth keeping secret and (3) be the subject of reasonable steps taken to guard its secrecy. One of the basic steps an employer should take as a “reasonable effort” to guard secrecy is to require employees to sign a confidentiality agreement, sometimes also called a non-disclosure agreement. While the lack of a signed confidentiality agreement can be fatal to a trade secrets claim, the existence of such an agreement does not by itself establish the claim. For one thing, there must be some showing that the non-disclosure agreement is taken seriously. If disclosures are ignored (e.g., historically when a trade secret is threatened not even a letter demanding compliance is sent) can it be said that “reasonable effort” has been taken? And even if “reasonable effort” is proved, there are still the other elements of the claim. For example, if the information the employer wishes to keep secret is a delivery route, anyone who wants to learn the route could simply follow the delivery truck. See Fulton Grand Laundry v. Johnson, 117 A. 753 (Md.1922). In short, the confidentiality agreement is important evidence of a reasonable step the employer is expected to take to safeguard a secret, but does not by itself irrebutably establish that sufficient reasonable steps have been taken or that the information claimed as secret is, in fact, secret. Maryland’s Trade Secrets Act makes it wrongful to “misappropriate” a trade secret. That means the information must be acquired improperly (like a theft) or under circumstances where the acquirer knew or had reason to know of a duty to maintain the secret or limit its use (like embezzlement). If, for example, the allegedly secret information is posted on a bulletin board visible to the public, or is on a computer system not subject to password protection and potentially accessible to the public, the argument that the information was improperly acquired is more difficult to make. * In Dworkin v. Blumenthal, 551 A.2d 947 (Md.1989), Maryland’s highest court held that absent an enforceable non-compete agreement, an employee may make arrangements to compete with his former employer before termination of his services. Once the relationship is terminated, the employee may solicit his former employer’s business absent an enforceable covenant restricting competition, misuse of trade secrets or misuse of confidential information. A customer list can be a trade secret, but in practice this has been a hard case to make. In Home Paramount Pest Control Companies, Inc. v. FMC, Corporation, Inc., 107 F. Supp. 2d 684 (MD 2000), a pest control company complained when its supplier shared its customer list with competitors. The court found that the information on the list was valuable to the plaintiff and that the plaintiff “went to significant lengths to ensure that its customer list and product purchase information were accessible to only a few employees.” However, no formal confidentiality agreement was ever entered into between the customer and its supplier before the list was disclosed to the supplier. On this evidence the court found, as a matter of law, that the information could not be a trade secret. A District of Columbia case decided under the Restatement here offers some additional guidance as to what kind of customer list might qualify as a trade secret. In Ruesch v. Ruesch International Monetary Services, 479 A.2d 295 (D.C. 1984), the court distinguished between wholesale and retail customer lists. A retail customer list arguably encompasses the entire phone book and its value is knowing who in the phone book actually buys the goods being sold. A wholesale list, by contrast, is more readily ascertainable by independent means. Like the delivery truck that could simply be followed, the wholesale customer list could be divined through the application of shoe leather and is not inherently a secret. Maryland’s Trade Secrets Act provides explicit remedies. First, one can have a violation of trade secrecy enjoined. Second, an award of damages may be ordered. Damages may include actual loss and unjust enrichment. In lieu of this a plaintiff can seek damages in the form of a royalty. Finally, where the misappropriation is willful and malicious, a plaintiff may seek exemplary damages and attorneys fees. To the company that acts diligently to protect its trade secrets, Maryland’s Trade Secrets Act affords strong protections tempered by taking into account the importance of free trade and competition and the right of Marylanders to work in their trades. A well-crafted and enforceable non-competition agreement can provide further protection to an employer while affording a departing employee a fair opportunity to earn a living in the near term. Eisen & Shapiro assists parties involved in these matters in reaching workable solutions, both in crafting agreements in the first place and in determining their limits when the parties go their separate ways. This is an area where we have found that a small investment in legal assistance early on can avoid enormous headaches and grief down the road. Accordingly we urge you to contact a professional if you are faced with questions in these areas.